Today my blog turns 2 years old! That means 2 years ago I made my blog public and since then the blog has spiraled beyond what I ever could’ve imagined. When I first started blogging, it was just 2-3 family members reading my blog. And I was 100% fine with that. My blog was a way for me to channel my passion of writing while preparing to move & teach abroad. I started it for me and I wasn’t too worried about who read it. At the most I thought that maybe some other aspiring South African teachers may want to read about how I got into the field and maybe feel inspired. I have to say that reading over my earlier posts makes me want to cringe because they’re rather boring even if they were informative. But over time I started writing more informally and sharing more details about my life. And slowly people started finding me. Through search engines, through other blogs, through Instagram (which I wasn’t a big user of before but suddenly I started to enjoy it), they crept through my blog door, standing around hesitantly at first and later, voicing their opinions to me loud and proud! I never feel bad that my blog is and has always been my hobby. If you’re a blogger you must see the ads for ‘blogging courses’ extolling the virtues of SEO optimisation and web development. However, I’ve never felt pressure to take my blog beyond my hobby; I feel that the moment I take it too seriously, it goes from being a relaxing pastime to WORK. And I work hard enough in my day job as a teacher. Unlike the millennials quitting their well-paid jobs to become digital nomads and travel the world, I have no intention of squandering my hard earned university education to live in a shack on a beach begging for sponsorships from slimming tea, hair gummy or watch companies!! When I started the blog, I thought it was imperative to follow this advice so I thought, “I will only write about my experiences living and teaching in the Middle East”. And yes I admit, this is still the biggest draw card that attracts new visitors to my blog. But what makes them follow my blog or send me messages? It’s the personal posts that allowed people to really get to know me. People read my blog and they think I must be so open and happy to share my experiences but they would be surprised if they met me in real life; my personal life isn’t something I share with ease. However, through my Instagram and this blog, I have opened up about my divorce, job loss, my ethnicity and the struggles of traveling with a passport from a third world country. It still continuously surprises me how kind and supportive people can be when you open yourself up and also, its helped me feel less alone knowing there are other people out there with these problems too. I am SO glad I expanded beyond one simple niche. 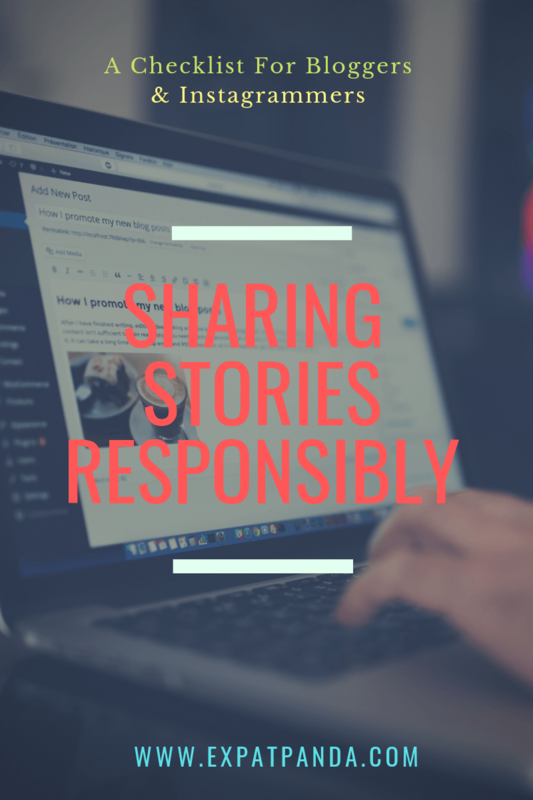 Although I see great blogs about bloggers and their lives and families, I sometimes eschew this advice and give my blog over to others so that my readers can get a break from me once in a while. My guest series is called Panda’s Penpals. I have had 7 guest writers to date ranging from my ex-husband who wrote this popular post about what its like to be married to a blogger to a university friend of mine who shared her experiences of being a foreigner in my home country of South Africa. 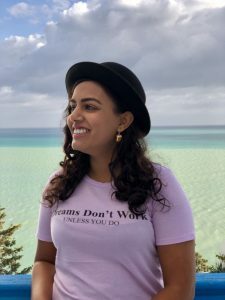 This year I collaborated with 5 other bloggers in the Gulf region to dispel myths about what life is like for women who live in the Middle East. I personally love the opportunity to collaborate with others so I find out more about their lives and introduce my readers to them too. As long as their topics are relevant and they have something I think my readers would be interested in, I don’t see why my blog should only be about me. I’m really not that exciting! On a side note: I almost never turn down the opportunity to write for others too! This is a way to reach a wider, more diverse audience. Some of the pieces I have enjoyed contributing to included this controversial one about the truth behind teaching abroad, how to incorporate travel while you have a full-time job, and this interview about how I got into teaching abroad. Pay attention to the numbers! Every article I read made mention of how I should monitor my stats and levels of engagement with my posts. I even read articles of people who had a schedule on when they would publish posts on Instagram! But truthfully my numbers don’t mean much. I post when I’ve been inspired to write and have had time to put a post together. Sometimes that’s immediately after a trip and sometimes that is after a long sabbatical. I post on Instagram when I have something worthwhile to say or want to share pics of my travels and life. 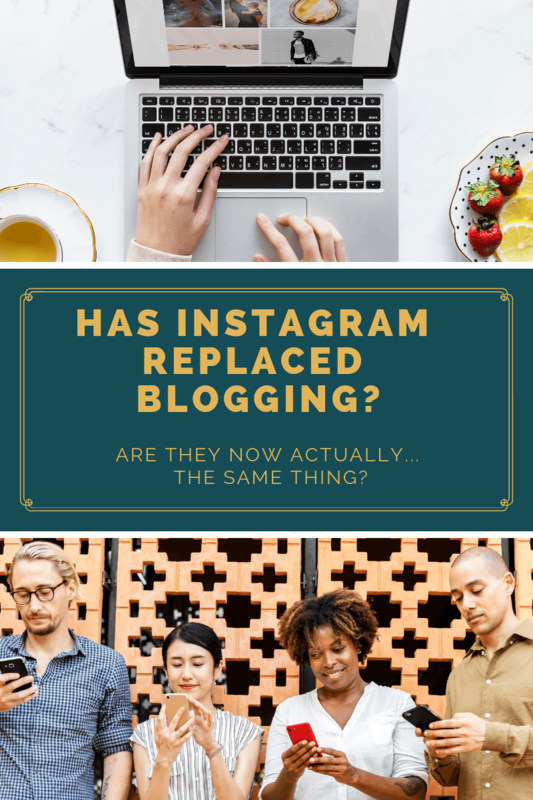 At the end of the day I have made lifelong friends through this blog and have enjoying chatting with people through Instagram… what different does it make whether I have 100 followers or 1000? My stats mystify me rather than inform my decisions! I know it might sound somewhat clichéd but in a way the blog has helped me get through the most challenging year of my life. When I posted about my divorce, people reached out to me and made me feel like I wasn’t the only one going through this (and I felt so isolated because I had no one else around me who had gone through a divorce); I love when I connect with other African travelers and our discussions are based on “where can we go where we don’t need a long visa application?”; and I love the overwhelming support of women empowering women that I see on my platform whenever I post about a challenge I am experiencing. While the blog has definitely helped me through the most difficult year of my life, it hasn’t always been sunshine and rainbows. I’ve also been verbally abused, emotionally harassed and victimised because of things I’ve written. I will never forget when my ex mother in law left me 16 beautiful comments telling me exactly what was wrong with everything I did from how I looked to how I lived my life. I considered getting a restraining order but at the end decided blocking people off social media was easier than filling out paperwork. Truthfully though, its these experiences that have made me become strong and uncaring of unimportant opinions. And every time someone sends me an email saying how I’ve inspired them to move abroad or thanked me for helping them plan a trip, it’s all worth it… absolutely worth it for that warm feeling! If you’re someone who wants to start a blog, what is holding you back? And if you are a blogger, what is the worst blogging advice you’ve ever received? Let me know in the comments below! Previous Previous post: The 5 Most Common Misconceptions About Chefs! Next Next post: What should YOU do if someone you know is moving abroad?! I love everything about this piece. A real authentic piece that I needed. I’m so glad you identified with it and found me!! Welcome!! To write more listicles! I do do them sometimes but this girl at the beginning was like stop writing personal stories. No one wants to read them. K bye. Wait I must be out of touch. What is a listicle? It’s sounds so cute! Wonderfully honest and frank advice 👌👍❣️ I’m so keen to start a blog about my experiences as a mom of three and relocating lock, stock and barrel from SA to the Middle East. But so many things have been holding me back 😑 But reading this, you’ve inspired me to take a few tentative steps! Thank you! If you start it and you hate it then at least you know you tried. It’s better than wondering “what if” for the rest of your life! I would read your blog for sure!! Happy blogiversary! I’ve been enjoying your blog since the beginning, glad you stay true to yourself. Your writing is awesome and resonates with many things I’ve been through. I felt so sad when reading about your divorce. Hope you keep writing. Hugs! This is honestly the sweetest comment. It’s people like you who make blogging worthwhile! It feels so good to be appreciated and recognised for keeping it real. So true! I started a blog because my husband had visa issues and was away for 3 months. I started cataloging all our travels via my blog and Instagram as a way to remember all the fun things we do. I loved following your wedding preparations and planning through your blog! It has evolved since then and I think that’s great!! I forgot to reply here and say thank you for the mention alongside some amazing bloggers! It’s an honour! Recently someone reached out to me about how I could make money from my blog, but they wanted me to focus it. I mean yes, my blog jumps around, but it’s mine. She wanted me to pick a focus, travel, teaching abroad, alopecia or food etc… No, No, No. I write what I want. Blogging is like a photo album, it helps me to remember. It also helps others, not just people wanting to teach abroad like it’s original goal. It has evolved and I like it this way. I understand why people want you to have a niche especially for monetisation purposes but it definitely limits your focus. Have you tried tagging all the similar posts with one tag and then adding that one tag to a heading? You can do this under the primary menu tab in the editor. Also I sent you an email a little while ago. I hope you got it. Omg I never got that. Are you referring to the email I sent to you on June 13? You sent me an email on July 13 and I replied on July 17. I forwarded it to you again right now. Thank you for always following along on my journey!! A bit behind and catching up. Thank you so much for your gracious and kind words of advice. They are perfect. I too started a blog for fun and hobby and of course for me, ’cause doesn’t “everyone want to know and is interested in things I have to say.” Ha! I do write for me, and no not regularly, but when the spirit moves. I agree with all the comments and feel more and more empowered by them. I LOVE your blog, all the writers and enjoy reading your articles. Thank you so much! I love this so much! Your infographic is awesome and congrats on the success of your blog. I’ve had my blog since 2012 but have always struggled with taking it too seriously, posting all the time or totally ignoring it for months. I’m finally in a good rhythm with my blog and I’m enjoying it. But I definitely want to keep it as a hobby and ensure I’m writing because I want to, and not to gain followers or influence people. Thanks for sharing! Thank you for finding me! Your blog is gorgeous by the way! Yes finding a rhythm is actually one of the most important components of having a successful blog but it is SO hard to find one. I love that you also blog not only to gain followers and influence because that life isn’t for everyone! The best blogging advice and why I will listen to it…..it’s a nice piece. Be the best version of YOU rather than a second rate version of someone else!